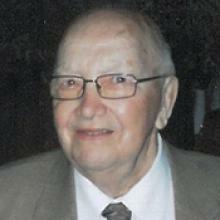 March 16, 1931 July 31, 2014 Henri Labossiere, aged 83 years, passed away peacefully, with family by his side on Thursday, July 31, 2014 at Foyer Valade in Winnipeg, MB. Henri was predeceased by his beloved daughter Marina, sister Laurette, brothers Herman and Alphee, sister-in-law Lorraine Beaupre, and brothers-in-law Leo Fraser, Edouard Rheault and Dr. Robert LaFreniere. Henri will be forever remembered by his wife of 59 years, Edith (nee Rheault), his children Denise (Garry), Gilles (Gisele), Diane (Travis), Regis (Wendy), George (Layne), Lyette (Guy), son-in-law Chris as well as his 15 grandchildren, and seven great-grandchildren. Also left to cherish his memory are his sisters Rolande, Carmen (Clement), Simone, sister-in-law Isabelle, and many nieces and nephews. Henri was a devoted family man who enjoyed socializing with family and friends. He savoured life each day, and his joie-de-vivre was delightful. Henri always had time to chat with everyone and shared his words of wisdom with all. His memory will forever be cherished. Family is grateful for the care provided by the staff at Victoria Hospital and Foyer Valade. In lieu of flowers, donations can be made to the Canadian Diabetes Association. Prayers will be held on Tuesday, August 5, 2014 at 7:00 p.m. at Thomson “In the Park” Funeral Home, 1291 McGillivray Blvd. Funeral Service will be held at St. Timothy Catholic Church, 135 John Forsyth Rd. in Winnipeg at 11:00 a.m. on Wednesday, August 6, 2014. Private family interment will take place at a later date.